Summary: 4 Large Posters including 16 individual exercises to complete in the classroom. 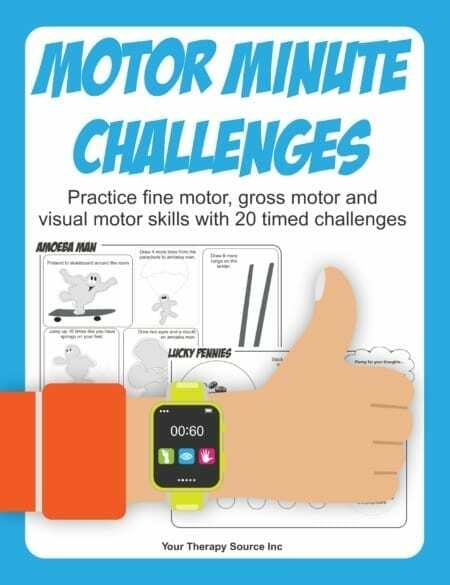 Also includes video demonstration of exercises. 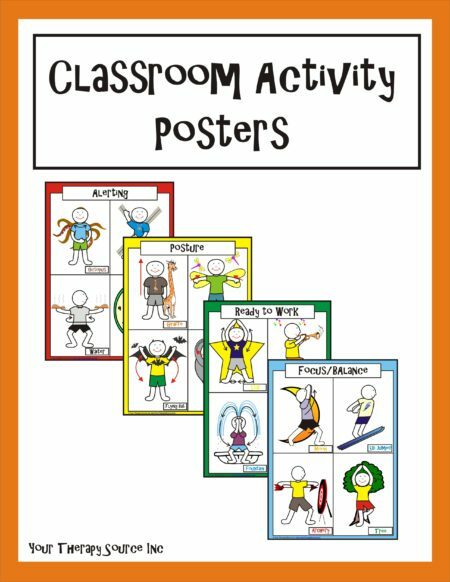 Summary: Classroom Activity Posters is a collection of 16 exercise activities, 4 large posters and a brief, simple video demonstration of each exercise.The posters are divided into four groups: posture, alerting, ready to work and focus/balance. All of the exercises are performed in standing. 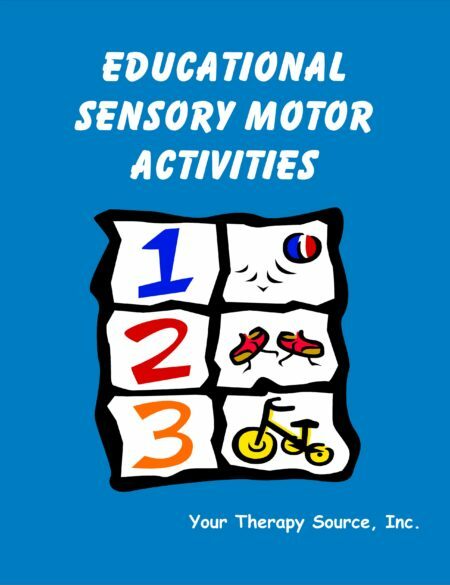 Try these activities prior to starting fine motor activities, for posture breaks, to refocus students attention and for vestibular/ proprioceptive input in the classroom. 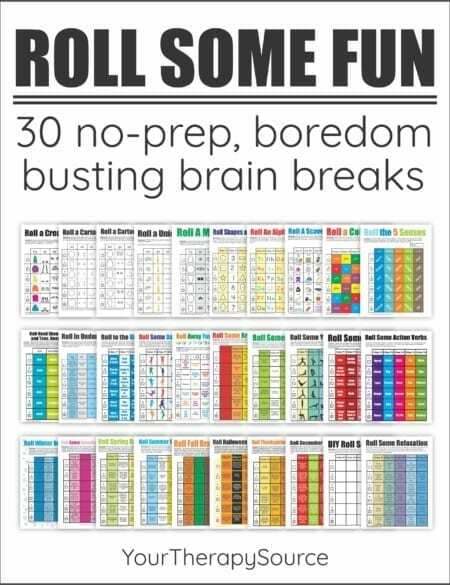 More details: Each activity page prints on regular 8.5 x 11″ paper. Each large poster will print as nine (8.5×11″) pages. You will have to assemble to poster for a finished size of approximately 2 feet by 3 feet. You can choose to print the poster smaller at 8.5×11″ from the main book. The video is a wmv format therefore it will play on Windows Movie Player. You can burn a DVD for your own use to play on any DVD player. 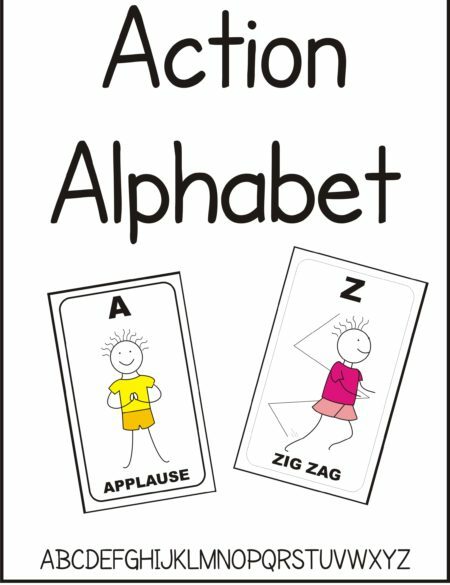 To purchase the download with credit card of Classroom Activity Posters click on the ADD TO CART button. Following payment you will receive an email with a link to download the book.